Big Bike Parts improves safety with this must have accessory for the Can-Am Spyder. 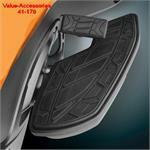 This Full Size Brake Pedal replaces the OEM brake pedal cover with a larger 4 ½’’ long by 2’’ wide pedal cover. 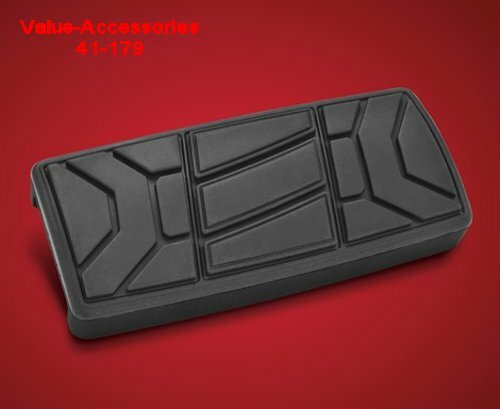 It mounts the same as the existing OEM brake pedal cover, with a rust proof steel channel reinforcing the high density rubber pad. This larger brake pedal cover allows a more comfortable use of the brake pedal without your foot constantly falling off, and the unique design complements the Spyder styling.